Turkey’s foreign ministry released a statement on Saturday pressing China to respect the human rights of the Uighur minority in the autonomous Xinjiang region and close the ‘concentration camps’ which held the Turkic Muslim population. Reports of a prominent poet and musician from the minority being tortured to death in prison further circulated, leading China to release a 25 second video of the poet, 57-year-old Abdurehim Heyit, showcasing that he was ‘in good health’. The Chinese embassy released a statement regarding the same. The video was broadcast by state-owned China Radio International, dated 10 February. In the video, the poet states that he was being investigated for “allegedly violating national laws”. “I’m now in good health and have never been abused,” he said. The Xinjiang region in China houses 10 million Uighurs, and make up 45 percent of the population in the region. The minority has accused Chinese authorities of cultural, religious and economic discrimination. The country has forbidden practicing Islam in some parts, with many facing the threat of arrest if practiced nevertheless. 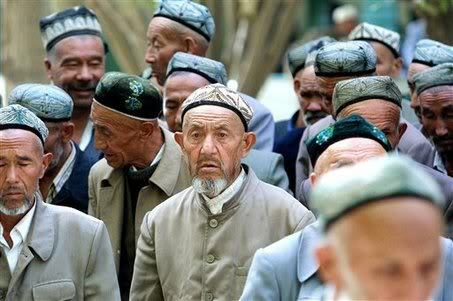 Last month, China passed a new law that seeks to “sinicise” Islam within the next five years. According to the Global Times, China’s main English newspaper, the new law seeks to “guide Islam to be compatible with socialism”. The ‘sinicisation’ campaign has embarked strongly under the leadership of Chinese President Xi Jinping, arguably the most powerful leader in China after Mao Zedong.